August is here already?!!?!? I can't even believe that summer is almost over. 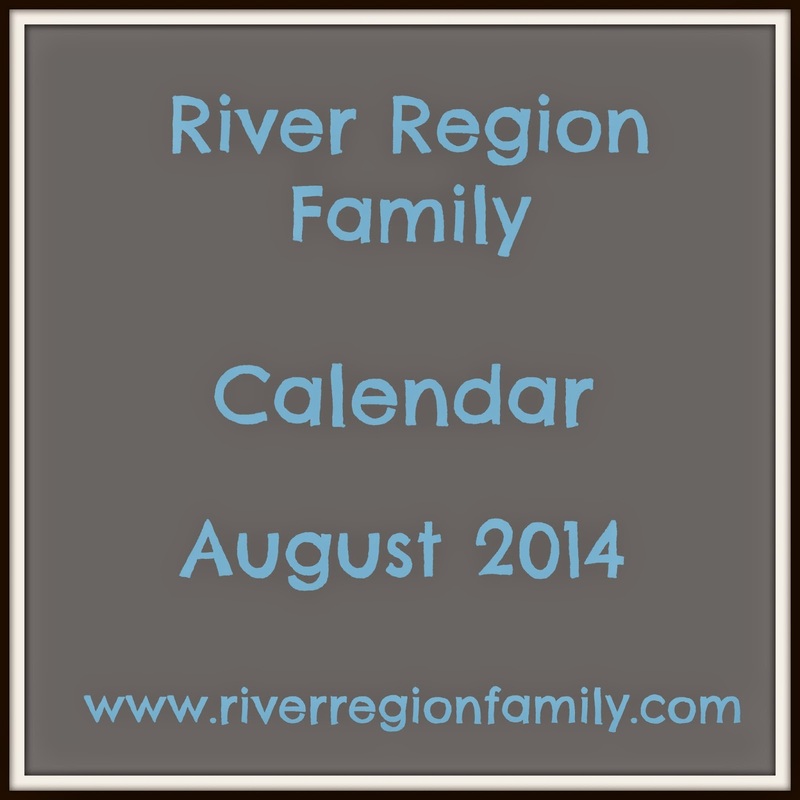 Here is the August calendar. If you know of anything that I can add, leave a comment here or on the River Region Family Facebook page. Thanks! Have a great August! Alabama Dance Theatre presents its 11th annual FREE "Stars on the Riverfront" performances Aug. 3 & 4 at the Riverwalk Amphitheater. Performances start at 7:30 p.m. Come early and bring a picnic and the entire family! The performance will feature an excerpt of classical and contemporary works. For more information visit www.alabamadancetheatre.com or call 334.241.2590. Personalize and decorate a picture frame with the all-new DohVinci Design Kit. No outside food, beverage or coolers. Local active duty and retired military personnel and their immediate family are invited to attend Military Open House. The festivities include art-making projects in the Studios, live music, and a buffet dinner. 3-9 pm Buckmasters Expo Admission: FREE with canned food donation per person per day; 12 and under FREE. Meet outdoor celebrities, kids activities, and more! 9 am-7 pm Buckmasters Expo Admission: FREE with canned food donation per person per day; 12 and under FREE. Meet outdoor celebrities, kids activities, and more! Make a crafty locker picture frame out of Duct Tape. While supplies last. 10 am-5 pm Buckmasters Expo Admission: FREE with canned food donation per person per day; 12 and under FREE. Meet outdoor celebrities, kids activities, and more! The Festival is an all-day affair. The opening ceremony opens the start of the races around 8:30 a.m. The races will continue up to the one-hour lunch break, then will resume until around 4:30 p.m. with the Championship race and closing ceremony. A full schedule will be available the week of the event. The Festival is free and open to the public! The entrance to the park is located through the tunnel at 246 Commerce Street. An information tent will be located just inside the park near the tunnel. Free Race Guides and a map of the Festival grounds will be available there. Ages 14+ Mobile phones make it easy to share photos online, but what about video? During this workshop, you will learn how to create video slideshows with your photographs, add titles and music, and edit video with the latest software available for the iPhone and iPad. Best of all, this workshop is FREE TO THE PUBLIC! To register for classes, call 334.240.4365 or email edsecy@mmfa.org. Weekend (and this week) Events Roundup! This week is going to be really busy for us-VBS at our church is starting Monday (if you want to come, you can register here-free dinner every night before VBS.) We will probably be spending most of this weekend finishing up decorating and getting set up. But if we weren't, I would surely be going to the River & Blues Festival in Wetumpka on Saturday. I'm sure the children would love the Kid's Zone! This week's Family Fun Night is sponsored by Build A Bear Workshop, and Chick-Fil-A! Wear your favorite PRINCESS or PIRATE costume to Eastdale Mall! Bring your family, lawn chairs, picnic baskets and coolers for a movie night along the Alabama River under the stars. Food and beverage vendors will be available. Movies begin at dusk. All seats are $4 which includes admission, small drink and small popcorn. 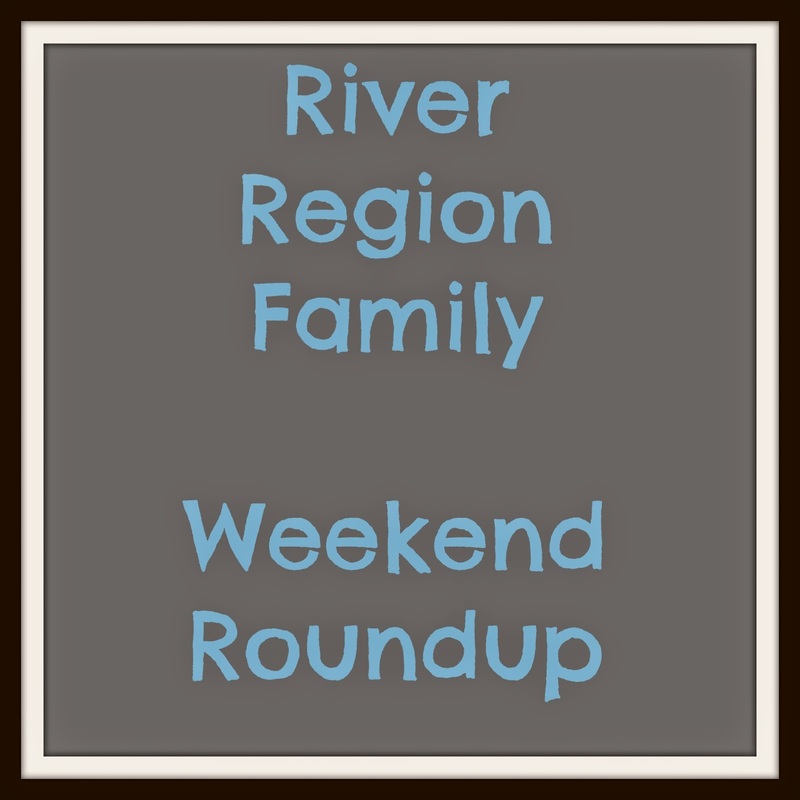 Weekend (and upcoming week) Roundup! This is the second weekend of July and there is LOTS to do this weekend and in the coming week! I think we will be going to Farmers Market Day tomorrow morning for some fun and some fresh, local produce! at the Montgomery State Farmers Market on Federal Drive next to Garrett Coliseum. Free Workshops, Free Crafts, free shooting arcade, Free BB shooting range, Free homemade ice cream on Saturdays. Get a free lanyard and then earn a pin for every workshop you complete! Enjoy a day full of music! This week's Family Fun Night is sponsored by the Montgomery Biscuit's! Have fun with the Biscuit's Bunch, Ziggy and BIG MO! 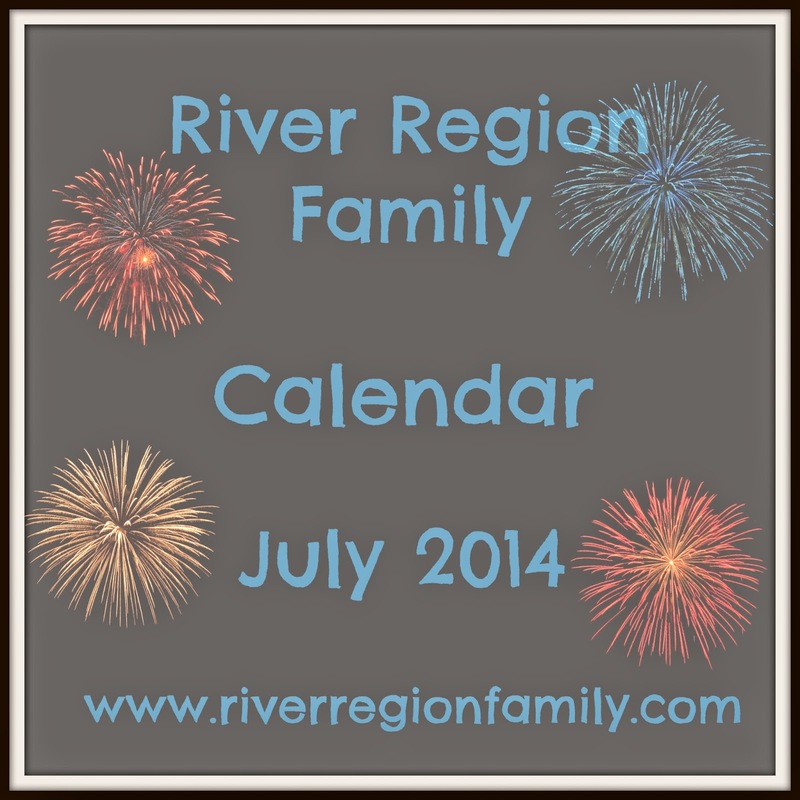 Fun and (mostly) free things to do around the river region in July! I will up date the calendar as I find more things. Hope you are all staying cool and drinking water. Immediately following Biscuits Game largest July 4th fireworks show to date that will light the skies for the finale of our Fourth of July Celebration! Food Vendors Kids Inflatables Picnics and Coolers are allowed but no alcoholic beverages. Gates open at 6 pm. Fireworks begin at dark. Bring blankets and lawn chairs. No pets or Glass containers. Live music. Fireworks at 9 pm. Get your singing voics ready for the very first EASTDALE IDOL - a kid's karaoke contest for ags 6-12! To register your child, please email suzanna.wasserman@aronov.com. Eastdale Idol will feature three celebrity judges and the winner of the competion will recieve a $100 Eastdale Mall gift card! Board games, video games, ping pong, and open gym in the Activity Center will make this a great night of fun and games for the whole family. Bring your own favorite board games or G-rated video games if you wish. Free event. No childcare provided; all children must be accompanied by an adult. Castle bouce house, shields and tiaras, themed crafts, special guests: knights and princesses of the round table.